Profiles of commanders using info from Inara and insights gained from other EDR users (e.g. Karma, history of legal records showing # of clean vs. wanted scans and max + last bounties). 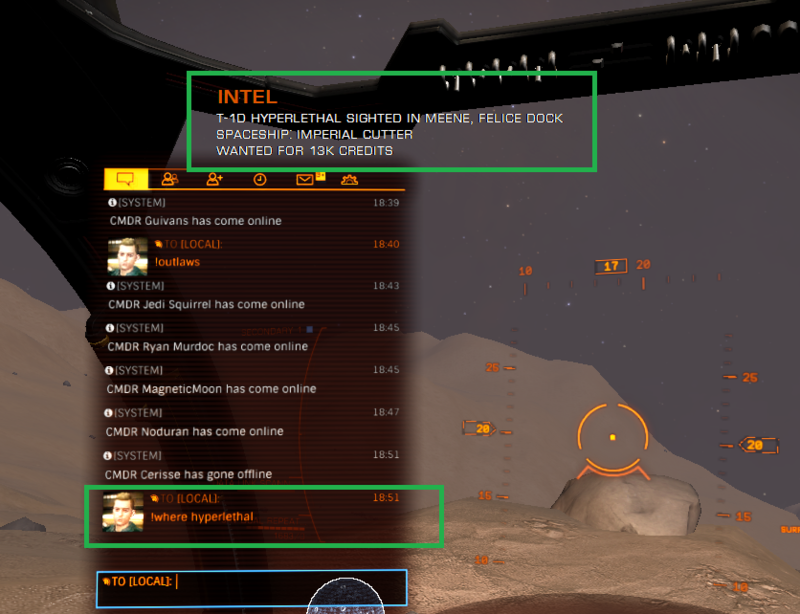 Works with: scanned commanders, multicrew members, wing invites and wing added commanders, and chat messages in local or sent directly to you. 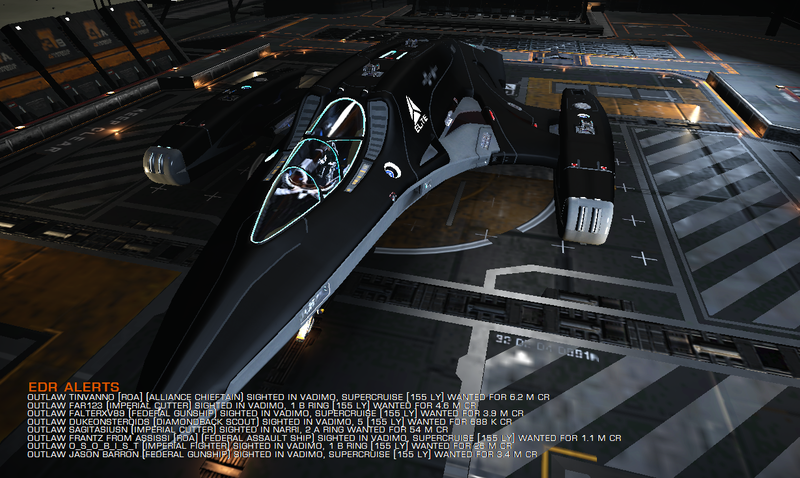 Situation report when jumping to a system: outlaws, powerplay enemies, interdictors, destroyers and sighted commanders. NOTAM (NOtice To AirMen): alerts when jumping toward known hotspots (e.g. CG, recently discovered Alien ruins, etc.). Queries to find the last location of a known outlaw or powerplay enemy. Allies and Enemies (aka Kill-on-sight) tags shared among members of for your Inara Squadron / wing. Custom commanders database: annotate encounters with an alignment tag (i.e. #outlaw, #neutral or #enforcer), custom tags, or add a note to remember how you met / what you did together. Customize the layout of the overlay: position, lines, width, background fill, etc. Show the distance from your position to another system or between 2 systems. Find services near you or near a specific system, e.g. closest interstellar factors, closest tech broker, etc. Find best spots for farming engineering materials, e.g. !search cadmium or ! search p i (for pharmaceutical isolators). Don't miss a good system while taxiing around, EDR will notify you if a system may spawn interesting materials. Predictions of materials in Signals discovered with the Full Spectrum Signal Scanner. Assessment of material densities from info acquired by scanning a nav beacon or from recon limpets. Requests for fuel, repair, security. Planetary navigation: known points of interest and custom destinations. Ian Norton for EDMCOverlay. Artie for Inara.